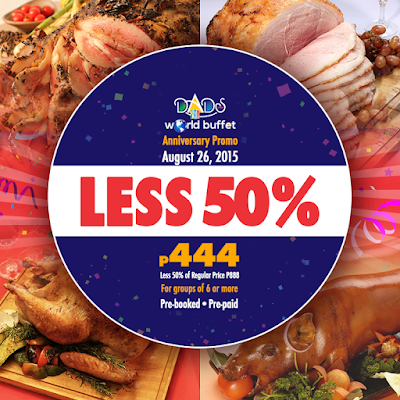 [i am a dekaphobic]: Dads World Buffet Celebrates 38th Anniversary on August 26! There's Chinese dishes like dimsum and noodles as well. From Spain, there are tapas and paella. From Philippines, you wouldn't miss the lechon, kare-kare, sisig and many others! Dads also features a wide array of desserts like ice cream, fondue, cakes, cupcakes, kakanin and many more. Dads World Buffet also serves dishes from Thailand, Malaysia, Indonesia, Singapore, Italy, Greece, Brazil and Mexico. Indeed, Dads World Buffet has expanded their selection yet maintained its quality for almost four decades. 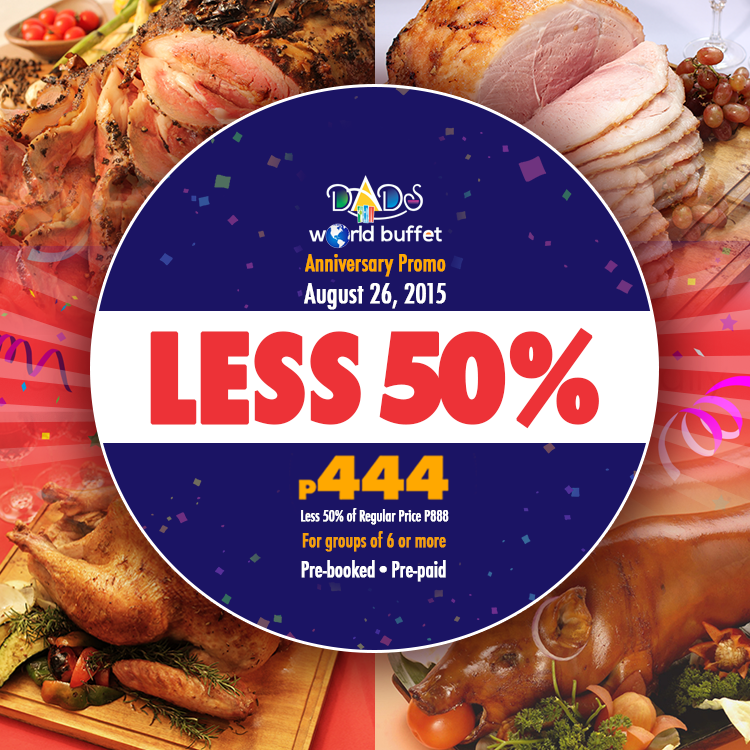 On August 26, 2015, Dads World Buffet is offering a 50% discount (Php 444 per person) for their guests. This offer is for groups of 6 or more. This is pre-booked and pre-paid. Thanks to Dads World Buffet for having us.